President-elect Donald Trump criticized this weekend's "Saturday Night Live" as "biased" and asked for "equal time" to respond. "I watched parts of @nbcsnl Saturday Night Live last night. It is a totally one-sided, biased show - nothing funny at all," Trump tweeted on Sunday morning. Trump added, "Equal time for us?" Federal "equal time" rules entitle political candidates to the same amount of airtime as their opponents for TV appearances that don't qualify as news events. The FCC rules only apply during campaign seasons. They do not apply to politicians after they are elected. Alec Baldwin, the man who plays Trump on "SNL," responding on Sunday morning, noted that the campaign is finished. "Equal time? Election is over. There is no more equal time," Baldwin tweeted. "Now u try 2 b Pres + ppl respond. That's pretty much it." Baldwin returned to "SNL" on Saturday for the first time since the election. 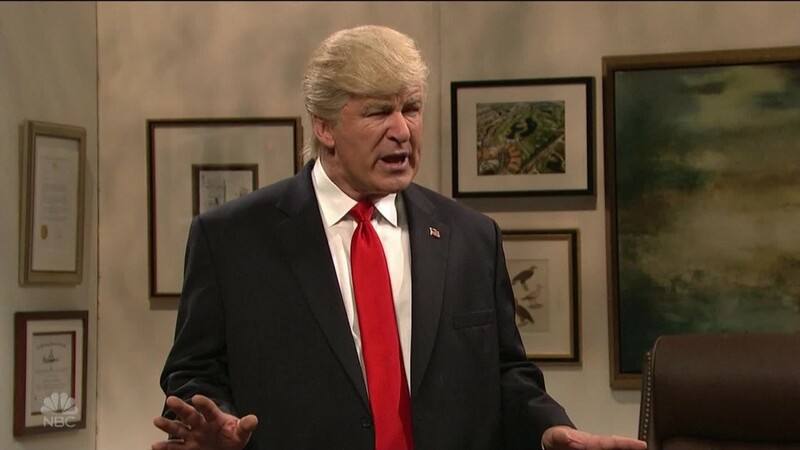 In the opening sketch, Baldwin's Trump found himself over his head with all of his newly acquired presidential duties, as well as taking meetings with people like Mitt Romney, who was played by "SNL" alum Jason Sudeikis. Election is over. There is no more equal time. Now u try 2 b Pres + ppl respond. That's pretty much it. NBC had no comment on Trump's criticism of Saturday's show or his talk of "equal time." The equal time rule was invoked during the presidential primary campaign last November after Trump himself hosted "SNL." "Amazing evening at Saturday Night Live," Trump tweeted at the time. Trump's opponents, including John Kasich and Mike Huckabee, got 12-minutes of free air time on NBC affiliate stations. Amazing evening at Saturday Night Live! But last month, Trump accused "SNL" of rigging the election. He said it was time "to retire the boring and unfunny show." Trump added that Baldwin's portrayal of him "stinks." Trump's tweet about "SNL" followed his criticisms Saturday regarding the Broadway hit, "Hamilton," which he called "highly overrated." Trump's team did not immediately respond with further comment.